It’s been another week of great posts from Ontario Edubloggers. Look what crossed my desktop this week. From Paul McGuire, a message that I don’t think should come as a surprise to anyone. Teachers and education are always a target by those not in education. I’ve mentioned this many times before; we’ve all had less than perfect experiences in education. It only takes issues like we see these days to fuel the fire. People feel the desire to fire back. And, of course, there are those that will fire back in their own trollish fashion. A great collection of definitions of “troll” appear here. Pick one. Paul offers an insightful post that I really enjoyed. But then, I’m a teacher for life and so I’m bound to agree with him. I do tend to block those that are overly trollish to me. I don’t need that negativity in my life. There are two things that I think are really bad behaviour. 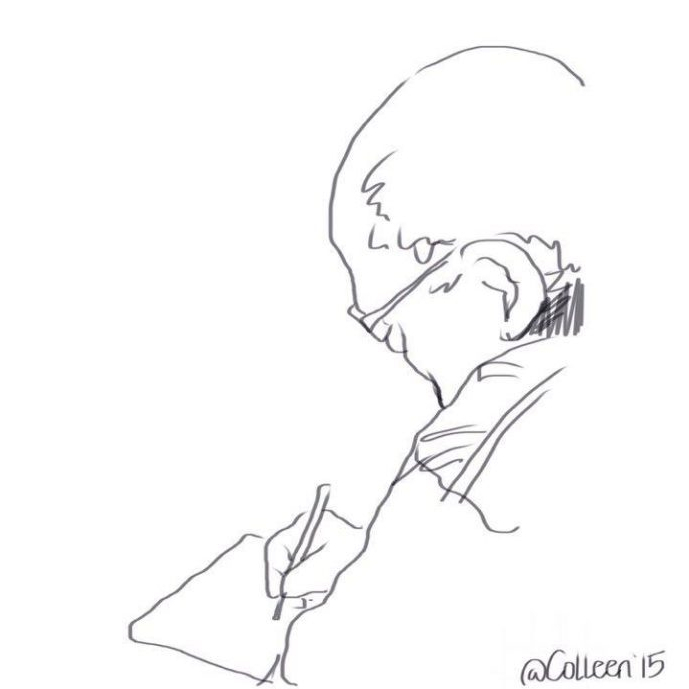 The anonymous troll – they don’t have the guts to sign their real name to their thoughts. Look for them adding comments on public newspaper articles. The troll within – those within the teaching profession who have an axe to grind and take shots at colleagues. Yes, Ann Marie Luce said morale. I saw this post as a two-parter from her. At a recent workshop she attended, a common theme of morale and climate within the school kept being discussed. I think it probably was an insightful observation by those who were in attendance. Things are certainly different than when we were in school. I suspect that, if we’d been a fly on the wall at our teachers’ staff meetings, that the comments might have been the same. Kids today. Later in the post, recent announcements in Ontario became the topic of her focus as she identifies some of the issues facing our schools and our teachers. Kudos to her for keeping tabs on things even though she’s thousands of miles away. How can we work together to value and support each member of our community? I was around at the beginning of online learning within our district. We had many questions at the time. The big question that helped frame things was essentially to make sure that online learning was significantly better than correspondence courses. Students should get the same learning experience and should graduate with the same knowledge, skills, and attitudes as those in traditional face to face classrooms. We found that it wasn’t easy. We also determined that online learning wasn’t for everyone and there was even a FAQ posted to the website that indicated that online learning might not be for everyone. That has since been removed. At the time, we addressed many of the same points that Kyleen Gray identifies in this post. While I think that our consortium did a decent job offering opportunities for the students that enrolled, we didn’t have the mandate that every student in the problem take four courses to graduate. Revisiting the above observations is going to be more important and mission critical than ever. This post, from Mark Chubb, had me thinking in a tangent that I hadn’t had before. The difference between strategies and models. Including a graphic that will make you investigate and think. Mark’s done his homework on this – including references and links to the work of Cathy Fosnot and Pam Harris. Clicking through and reading his research is highly recommended. This table provides a nice summary. An important part of his argument is attention needed for developmental trajectories. This isn’t a quick and easy read with all the supporting links included but they form a crucial part of the message. Lynn Thomas is working her way through the alphabet and is now on D.
In an educated society, debate whether personal or with others is really a skill. It also requires the maturity to recognize that your initial position may be partially or completely incorrect. Our media doesn’t always acknowledge a change in opinion and, often when it does, uses the term “flip flop” instead. The topic of the debate, in these situations, goes away and the focus shifts to the person. Lynn offers a strategy straight from John Dewey about how it look like in the classroom. I wonder, though, can it look that way in real life? I really appreciate it when Cal Armstrong opens his mind and shares some of the thinking that he’s doing. He’s always got great ideas. In this case, he was one third of a Professional Development Day. He says that he would have 30-40 teachers at a time. Now, we’ve all been in laid on professional learning events and we know how they go over at times. Particularly with a technological bent, people are all over the map with their expertise and their interests. So, Cal did a “Create Your Own Adventure” activity in OneNote. Depending upon your path, you might end up, well, I guess at an Office, whatever that means. You will get a chance to discover that if you stick with his post. Cal shares a link to the Notebook so that you can relive the experience. I spent a bit of time poking around myself. Cal’s sense of humour comes through! There was a chance to see new tools that are available to staff. There were some challenges with the IT implementation and controls at the school. But, it sounds like a great approach. Could you use it? And, we need to know more about this, Cal. 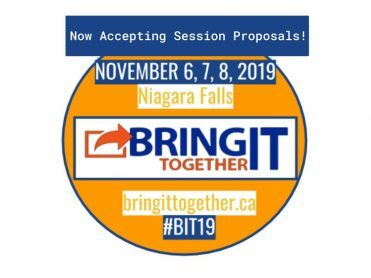 #BIT19 Call for Proposals is OPEN! On the ECOO blog, Ramona Meharg lets us know that the Bring IT, Together Conference is now open and looking for session submissions. I don’t know about you but I’d go into any session presented from the folks who are included in this edition of This Week in Ontario Edublogs. Then, follow them on Twitter. Please check in every Friday and see what great things are happening on the blogs of Ontario Edubloggers.